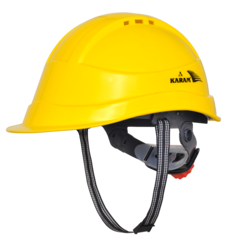 We are the supplier of Karam Safety Helmets. Karam Safety Helmets are available of Karam make. 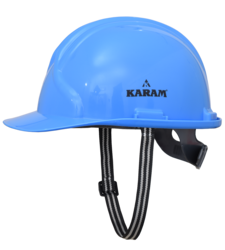 Our Karam Safety Helmets are ISI, DGMS & CE approved. Available in all colour in pinlock & Rachet. We are dealing Karam Safety Helmets in Delhi (NCR), all cities of Uttar Pradesh like Ghaziabad, Noida, Greater Noida, Gautam Budh Nagar, Meerut, Moradadbad, Bareilly, Aligarh, Agra, Bulandshahar, Kanpur, Lucknow, Unnao, Banaras / Varansasi, Allahabad, Lucknow, Gorakhpur, cities of Haryana, Faridabad, Bahadurgarh, Gurgaon, Ambala, Sonipat, Panipat, Cities of Uttrakhand / Uttranchal like Dehradun, Roorkee, Haridwar, Rudarpur, Ramnagar, Haldwani, Nanital, Mussorie, Cities of Bihar like, Patna, Darbanga, Bhagalpur, Begusarai, Motihari, Siwan, Gaya, Mokama, Jamalpur, Purnia, cities of Jharkhand like, Ranchi, Ramgarh, Jamshedpur / TATA nagar, Dhanbad, Bokaro, Deoghar, Medininagar, Phusro, Dumkar, Hazaribagh, Gumla, Gomia, Cities of Rajasthan like, Jaipur, Alwar, Bhiwadi, Neemrana, Udaipur, Jaisalmer, Cities of Punjab like, Chandigarh, Ludhiyana, Amritsar, Ambala, Cities of Madhya Pradesh like, Gwalior, Indore, Bhopal, Etc. We are a main firm, which is occupied with offering Karam Safety Helmet. The offered scope of helmet is sourced from solid merchants, who guarantee to utilize heat safe material with flip-up sort window. Alongside this, the offered scope of welding face shields is known for rendering a reasonable perspective of continuous operations and dodging unsafe radiations and partials from hurting the eyes and facial skin of the clients. This Face Protector is extremely light weight, providing comfort as well as protection during welding operations. It has a Flip Front Lens which makes it easy for normal viewing even when the operations are not on. This feature includes high impact resistant shell with a facility to attach with the helmet. High impact resistant polypropylene shell. It has a Flip Front Lens. 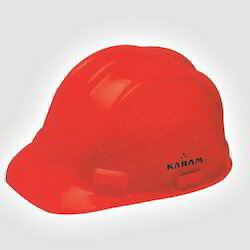 We are a main firm, which is occupied with offering Karam Safety Helmet PN - 561. The offered scope of helmet is sourced from solid merchants, who guarantee to utilize heat safe material with flip-up sort window. Alongside this, the offered scope of welding face shields is known for rendering a reasonable perspective of continuous operations and dodging unsafe radiations and partials from hurting the eyes and facial skin of the clients. Extended Nape for extra impact protection to the user’s neck. The Helmet inner Harness is available in options of webbing and polymer as per customer need. 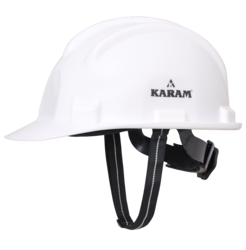 We are a main firm, which is occupied with offering Karam Safety Helmet PN - 581. The offered scope of helmet is sourced from solid merchants, who guarantee to utilize heat safe material with flip-up sort window. Alongside this, the offered scope of welding face shields is known for rendering a reasonable perspective of continuous operations and dodging unsafe radiations and partials from hurting the eyes and facial skin of the clients. 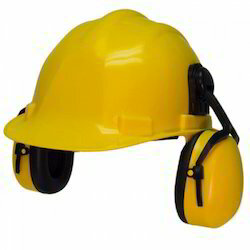 We are a main firm, which is occupied with offering Karam Safety Helmet PN - 542. The offered scope of helmet is sourced from solid merchants, who guarantee to utilize heat safe material with flip-up sort window. Alongside this, the offered scope of welding face shields is known for rendering a reasonable perspective of continuous operations and dodging unsafe radiations and partials from hurting the eyes and facial skin of the clients. Comes with a Ventilated Slots which can be opened/ closed with the help of a shutter to prevent any rain water seepage. Unique Rain Management System which effectively manages the rain to reduce the flow of water down the neck. Easily detachable Clamps enables easy replacement of Chin Strap. 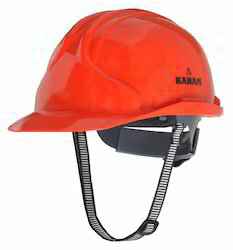 We are a main firm, which is occupied with offering Karam Safety Helmet PN - 521. The offered scope of helmet is sourced from solid merchants, who guarantee to utilize heat safe material with flip-up sort window. Alongside this, the offered scope of welding face shields is known for rendering a reasonable perspective of continuous operations and dodging unsafe radiations and partials from hurting the eyes and facial skin of the clients. We are a main firm, which is occupied with offering Karam Safety Helmet PN - 501. The offered scope of helmet is sourced from solid merchants, who guarantee to utilize heat safe material with flip-up sort window. Alongside this, the offered scope of welding face shields is known for rendering a reasonable perspective of continuous operations and dodging unsafe radiations and partials from hurting the eyes and facial skin of the clients.